The Air Jordan 1 “Cyber Monday” is a special edition Air Jordan 1 that will be debuting on one of the biggest days to score the best deals. 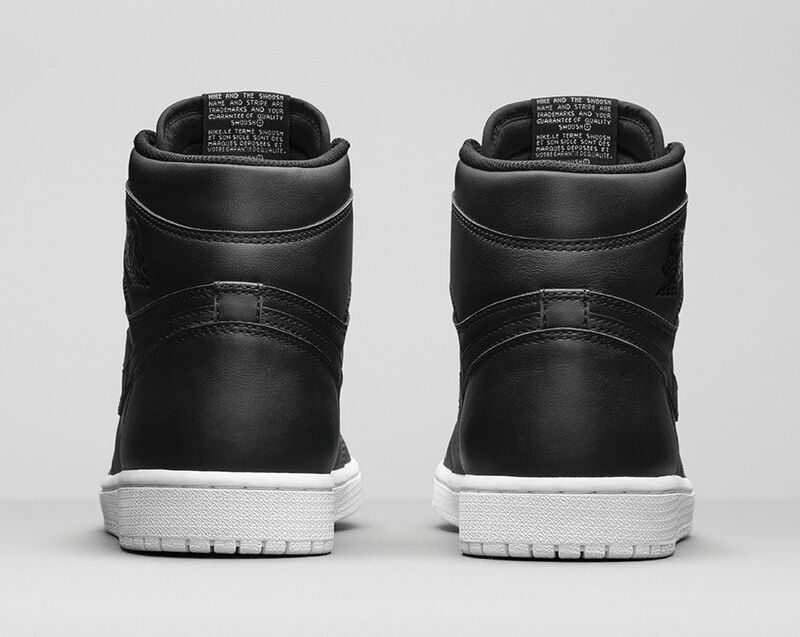 This OG-version of the Air Jordan 1 is dressed in a sleek Black and White color scheme. The shoe features an all-Black leather upper that includes perforations on the toe box, embossed Wings logo on the collar, and the classic ‘Nike Air’ branding in White on the tongue. They’re completed with a clean White rubber outsole. Check out the detailed images below and look for the Air Jordan 1 Retro High OG “Cyber Monday” to release on Cyber Monday, November 30th, 2015 at select Jordan Brand retailers. The retail price tag is set at $160 USD. UPDATE: The Air Jordan 1 Retro High OG “Cyber Monday” is set to debut tomorrow on Cyber Monday at select Jordan Brand retail stores, including Rock City Kicks. Let us know in the comments section if you’ll be scooping these up. UPDATE: Nike has just released official images of the Black and White Air Jordan 1 OG “Cyber Monday” that will be releasing on November 30th. UPDATE: One of the biggest releases for Cyber Monday is this Air Jordan 1 Retro High OG that is now arriving to retailers like Sneaker Politics for its launch on November 30th. UPDATE: For those that don’t want to wait until November 30th to buy the “Cyber Monday” Air Jordan 1, then you can find them available early via eBay. UPDATE: The “Cyber Monday” Air Jordan 1 will make its debut on November 30th, and here are the latest images via Kixsquare.